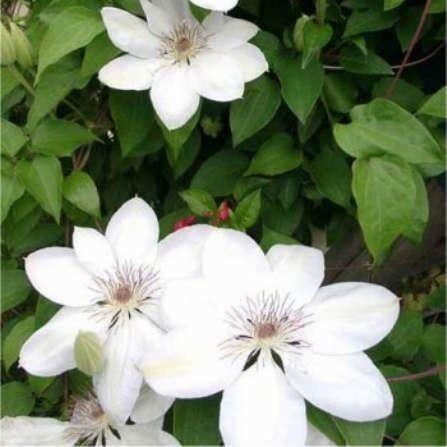 Large, creamy-white flowers, with chocolate brown anthers, are produced throughout the summer on this vigorous clematis. It is perfect for growing up a trellis with other climbers or to cover a wall. To encourage blooms to cover the whole plant, train stems so that they are evenly spaced on the trellis. Supplied in approx 2-3 litre containers.